Can Star Wars: Rogue One Make Darth Vader Scary Again? There are quite a few iconic villains in the history of cinema, but to this day none can rival that of Darth Vader from the original Star Wars trilogy. 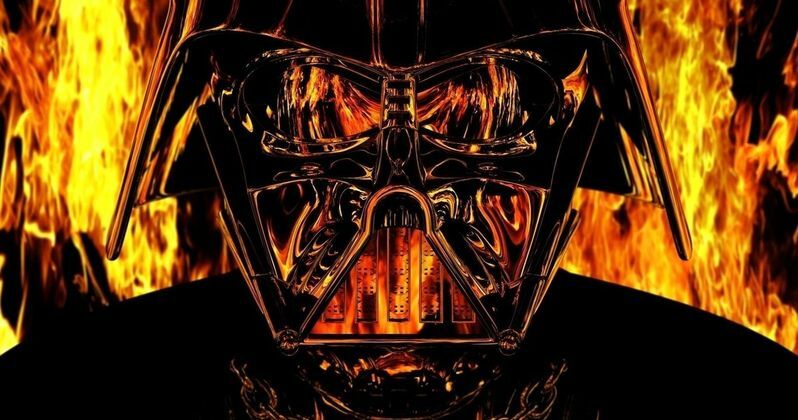 The distinguishment must be made in regards to the original trilogy, because as any Star Wars fan will know, the prequels definitely demystified the dark, brooding, menacing evil that was Darth Vader. There is hope for redemption though, because we are getting some real deal Darth Vader in the upcoming Rogue One: A Star Wars Story. So the real question is, can that movie make Darth Vader scary again? Yesterday, Disney and Lucasfilm dropped the final trailer for Rogue One: A Star Wars Story, which has been viewed nearly 8 million times on Star Wars' official YouTube channel alone. It may not have been much, but one shot in this new trailer should give Star Wars fans every bit of hope that Darth Vader will once again be the villain we all know, love, fear and remember. In the shot, we see the famed Sith Lord stepping toward Director Orson Krennic (Ben Mendelsohn) from out of a mist, very purposefully. Most of the time, Vader walks at something of a casual pace, but in this brief moment, he is in a big, intense hurry. It is awesome and most importantly, it is kind of scary. The last time we saw Darth Vader on screen was at the end of Star Wars: Revenge of the Sith. Most of us had our last experience with the greatest movie villain of all time, watching him yell "No!" in one of the cheesiest, uncalled for scenes in the history of cinema. Yes, we did get to see him standing on the bridge of a Star Destroyer looking at the construction of the Death Star after that, but that is beside the point. It is so hard to wash the bad taste that left out of our mouths. What's worse is that any much younger Star Wars fans never got to know Vader without the prequels. There is no separation for them. The brooding Sith Lord from the original trilogy and the pathetic, whiny, childish version of Darth Vader from the prequels are one and the same. That must be amended. Rogue One: A Star Wars Story is our last chance at that. Related: Do New Star Wars Trilogies Mean Solo May Fail & Kill Off Future Standalone Movies? Many of us who have been wanting to reconcile this problem perked up at the idea that Darth Vader would be appearing in Rogue One and yesterday, in just a couple of seconds, our hopes soared. Anyone who remembers the real Darth Vader knows that if anyone does anything to make him walk with that kind of purpose, it is about to go down in a "Force choke, cut off my own son's hand" kind of way. That is the Darth Vader we want. That is the Darth Vader we deserve. Rogue One: A Star Wars Story has now all but officially promised us that Darth Vader. Anything shy of making Anakin Skywalker a terrifying force of the Dark Side again would be disappointing. Disney and Lucasfilm have already made it very clear that they understand some things from the prequels need to be corrected. They already brought back Darth Vader in Star Wars Rebels with James Earl Jones even returning to voice the character. Even though that is an animated show on a children's TV network, it was some solid Vader action. Now, we are getting one last chance at a true-to-form, live-action Darth Vader. James Earl Jones is doing the voice. The costume is correct. It is going to be at a time that bumps up right against the original Star Wars trilogy. Rogue One: A Star Wars Story has every piece in place to make Darth Vader scary again. Your move, Lucasfilm. Rogue One: A Star Wars Story hits theaters on December 16.